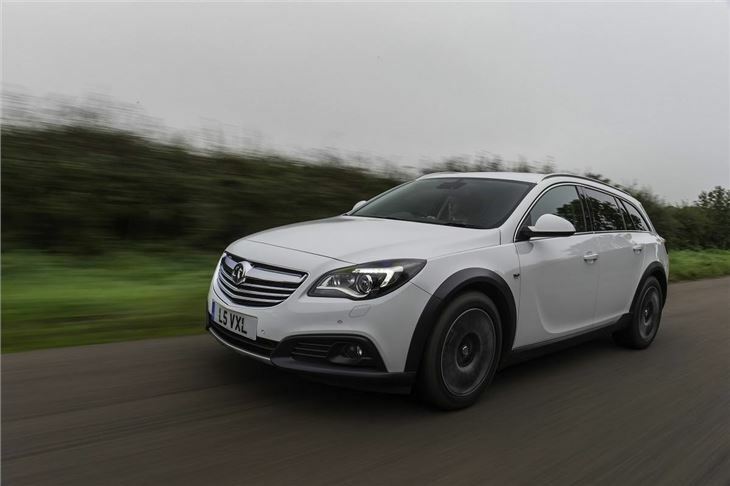 Vauxhall has launched the rugged-looking Insignia Country Tourer as a new alternative to the country-set who need to drive across muddy fields or up icy hills. 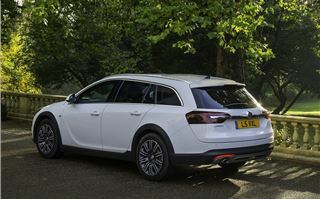 It's basically a jacked-up Inginia Sports Tourer, with body cladding and the impressive new Flexride system - and a rival to the Skoda Octavia Scout and Volkswagen Passat Alltrack. 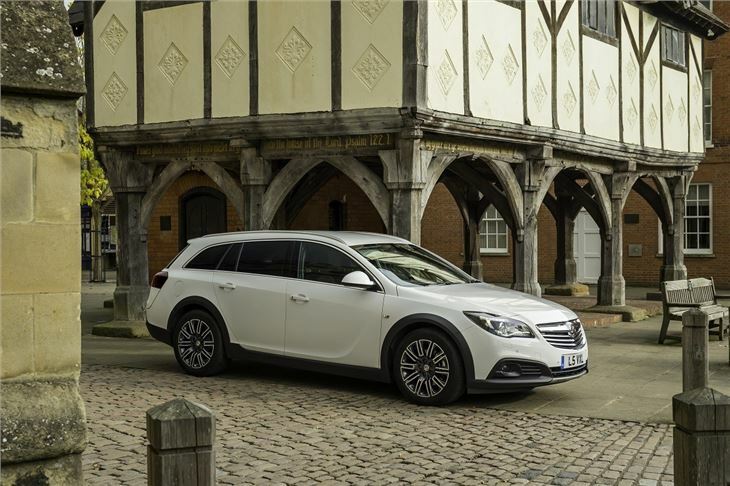 The Country Tourer's metamorphosis to Country-spec is a simple one - it receives beefed-up exterior styling with new, front-end styling. The 'premium' look is helped by the addition of LED daytime running lights and xenon headlights as standard on all models. 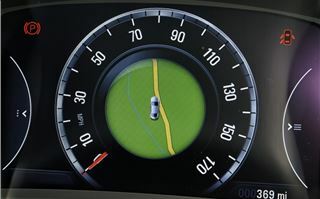 This was an important consideration, as the Country Tourer is likely to be driven often in unlit areas. 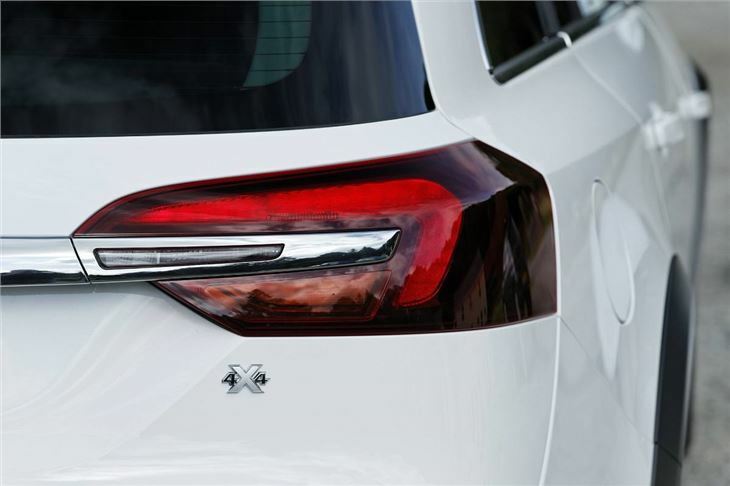 The new plastic add-ons around wheelarches and bumpers are made from 'self-healing' ABS plastic, which can effectively hide small scratches. It's a shame, then, that its 18-inch wheels won't. 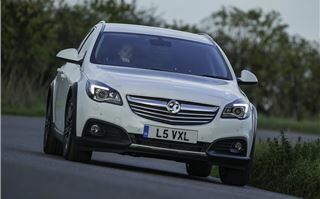 Other changes include a 20mm higher ride height along with Vauxhall's clever new four-wheel-drive system. This can vary torque between front and rear depending on the conditions. 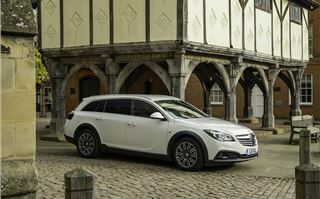 For those who like the Country Tourer look, and the additional ground clearance that comes with it, a cheaper front-wheel drive version will be offered in 2014. Two engines will be offered in the Country Tourer from launch, both of which are 2.0-litre diesels. 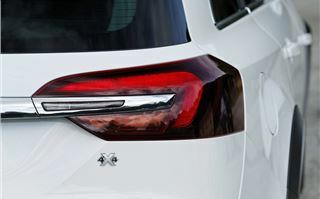 They're the 163PS, which is offered as an automatic or six-speed manual, or the impressive 195PS version, which - for the moment - will only be available as an automatic. Inside, the Country Tourer is unchanged from the standard top-line Insignia. 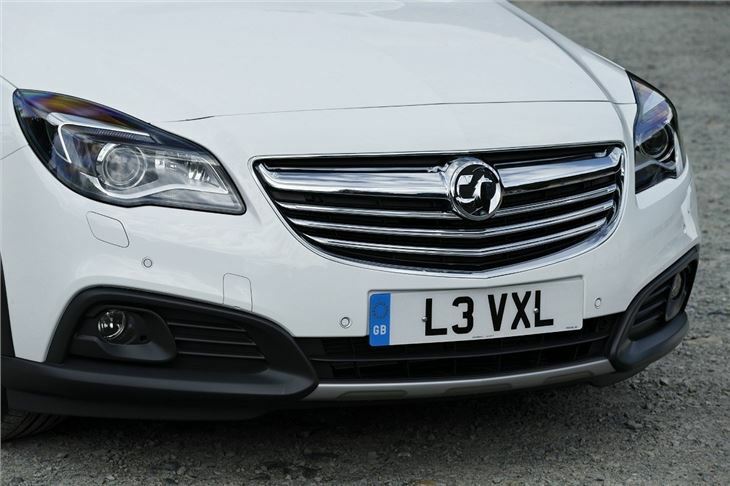 At almost five metres in length, you've every right to expect the Insignia to be roomy inside and largely, this proves to be true. The driver has plenty of head and legroom, with ample rearward adjustment of the the seat, while the steering wheel is well-sized and multi-adjustable. The sports-seats are also very good indeed, and should prove comfortable on longer journeys as they're well-shaped and firm. 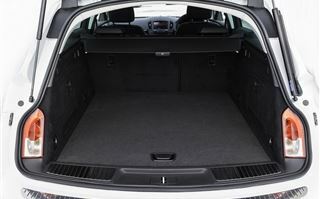 In the rear, there's also ample room, with headroom being particularly generous. If we'd level any criticism here, it would be that the shallow glass and thick pillars will leave some rear seat passengers feeling a little hemmed in. For the driver, those thick pillars also prove to be a nuisance in city driving leaving too many blind spots. The parking sensors help when it comes to manouevring though. 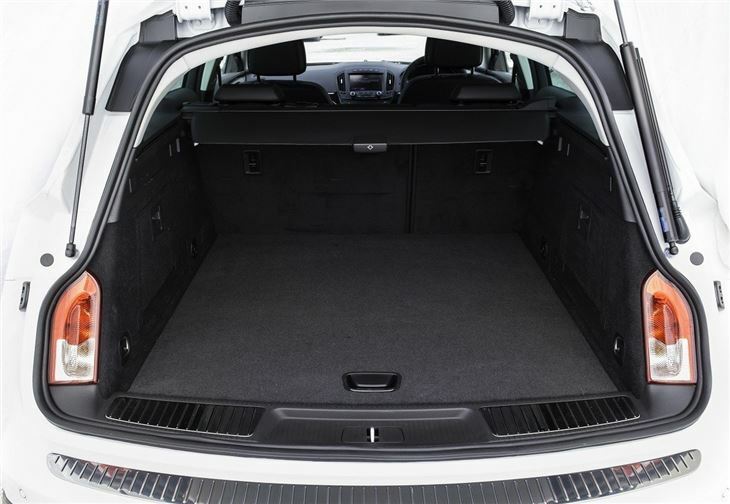 The boot opening is wide and the seats fold easily, but the size of the load bay itself is unimpressive, with a maximum capacity of 1550 litres - that's smaller than an Astra Sports Tourer. Equipment levels are generous and the Country Tourer comes with an 8-inch configurableable screen, DAB stereo with two USBs, rear privacy glass, hill-start assist, dual-zone climate control, keyless entry and a powered tailgate. The Nav model adds an infotainment system, which comes with an optional Intellilink system that allows you to install 'driver-focused' apps. 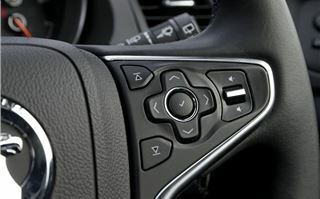 Using it wasn't straightforward at times - and mastering the laptop-style touchpad and scroll-knob by the handbrake takes time. The recently revised dashboard is a big improvement over the original Insignia - the centre console is much more simple to use. 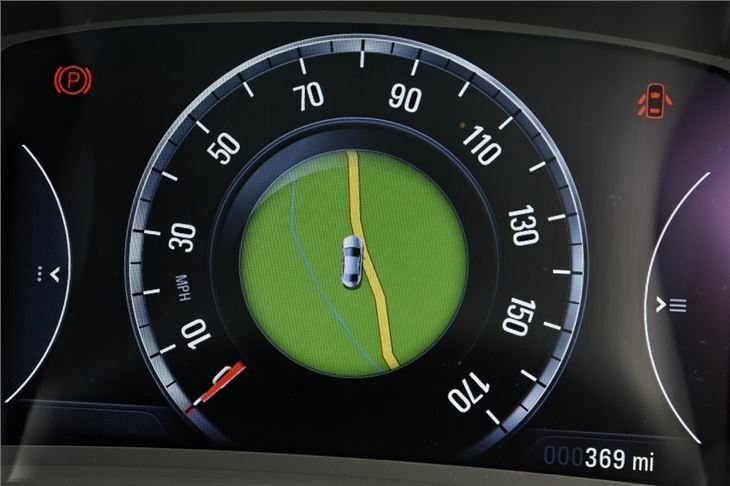 The main instruments include an 8-inch colour screen in the centre of the dial pack, which include a digital speedo and nav screen. It works well and looks very good while overall quality has also taken a big leap forward. 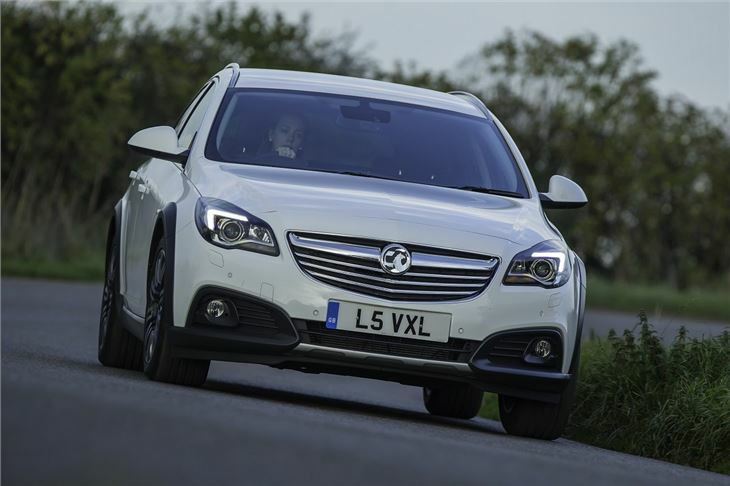 Ergonomic niggles aside, the Country Tourer is a very accomplished car that's clearly been honed for long distance drivers who spend a long time in their car. On the move and at speed it's effortless to drive, comfortable, and refined. The 165PS engine is responsive and pulls strongly on light throttle openings, but that initial eagerness flatters to deceive and it's not quite as fast as it feels. 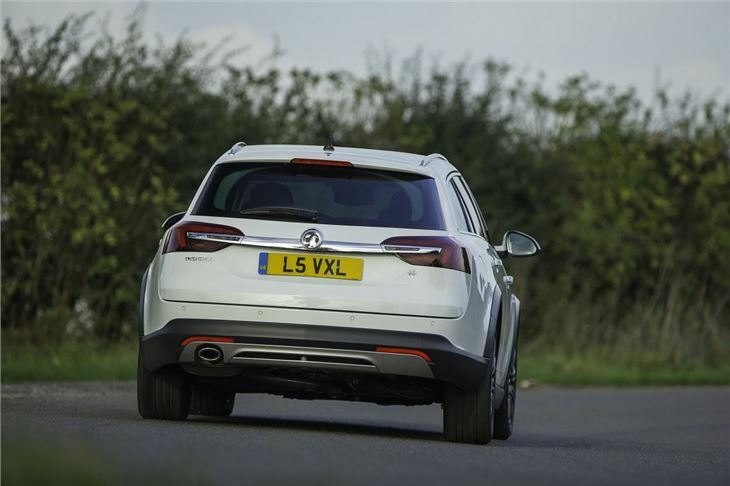 At A-road speeds, it lacks mid-range punch, when you need to overtake, and you'll need to work it harder than you might reasonably expect to. This highlights the fact that it's far from being the most refined car in its class. For 163PS diesel, performance is disappointing. 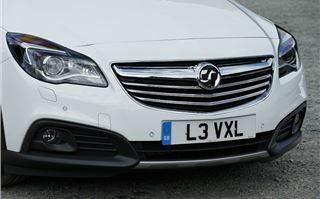 From previous Insignia experience, we'd heartily recommend paying out the extra for the 195PS BiTurbo. 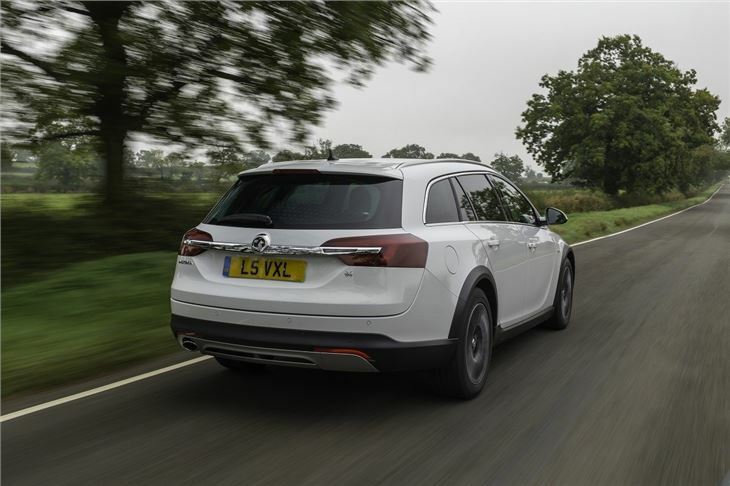 Away from the motorway, the Country Tourer’s advanced four-wheel drive system really comes into its own. The steering is superb and the handling is positive, never once feeling top-heavy, or belying that additional ride-height. 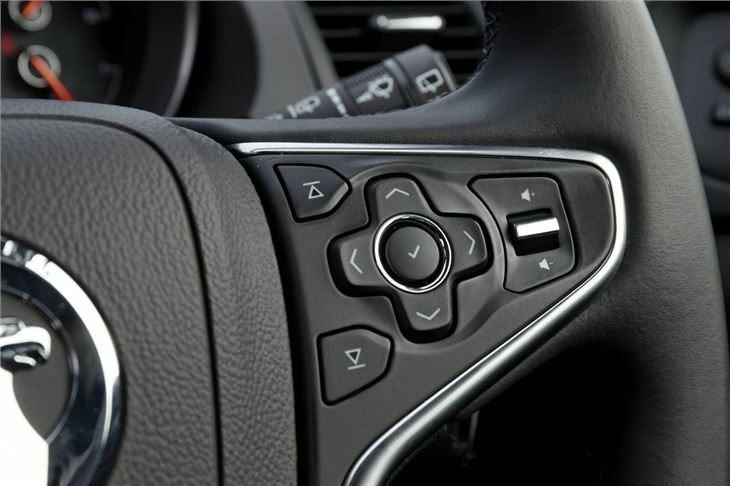 The adaptive four-wheel drive system is controlled from the rear and incorporates an electronic limited slip differential - in slippery conditions it sends drive to the wheels that most need it, which - in a nutshell - will give the driver a real confidence boost. On our test, it was near impossible to unsettle the Country Tourer on the road, and it took a slippery field to make it slide at all. The actively controlled Flexride system, with electro-magnetic dampers, results in a smooth ride on typical UK roads. 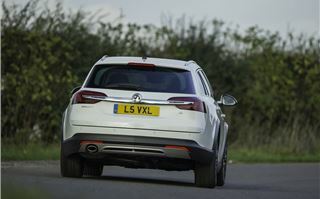 In 'Tour' mode, the system is typically soft and pliant, but if you select 'Sport', it firms up appreciably, with less body roll, slightly firmer steering feel and a more responsive throttle pedal. Leave the system in its default 'Tour' setting and it's all done automatically for you, firming up in cornering, softening on the straights. Overall, we were impressed by the Country Tourer. It's capable, roomy for passengers, comfortable and has a chunky look. It's also now blessed with an interior that's good enough to live up to the rest of the car's all-round combination of abilities. Despite that, it's hard to argue a convincing case for the Country Tourer. 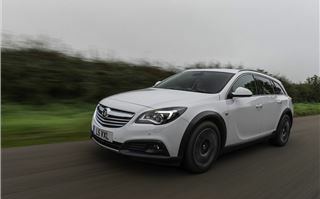 We would rather have seen a version of it powered by the 120PS or 140PS engine from the Insignia CDTi Ecoflex. With emissions in the region of 99g/km boasted by that car, instead of the 147-174g/km that that Country Tourer is currently emitting.